Robert Dwayne "Bobby" Womack was born in 1944 in Cleveland. The third of five brothers they grew up in a Cleveland ghetto, the boys were brought up in a strictly religious family. Bobby’s mother played the organ for the church choir, and their father, Friendly, a steelworker, was also apart-time minister and musician who played the guitar and also sang gospel. After Bobby showed an aptitude for singing and playing his father’s guitar he was given his first guitar. The family formed a gospel group which performed on the mid-west gospel circuit. They appeared under several names including The Womack Brothers, and later Curtis Womack and the Womack Brothers. The group released several singles. Their early recordings failed to attract much attention but the group did catch the eye of Sam Cooke, (The Soul Stirrers) and he became their mentor and helped them go on tour. While on tour Curtis Womack sang lead with his younger sibling allowed to sing alongside him showcasing his gruff baritone vocals in contrast to his older brother's smoother tenor. During performances, Bobby sometimes imitated the role of a preacher, which later became his nickname. At just 16, Bobby dropped out of high school. Sam Cook signed The Womack Brothers to his label in 1961 but their gospel singles again failed to attract much attention. Learning that his sons were moving into secular music, Friendly Womack threw them out of the house, and Cooke wired them the money to buy a car and drive out to his Los Angeles offices. Around 1963, Bobby Womack began touring with Cooke as his backing guitarist. He added in instrumentation to several of Cooke's albums including Night Beat and Ain't That Good News. Irritating as it may have been at the time and royalties aside, the successful cover versions of the Valentinos early hits allowed a wider audience to appreciate their music. 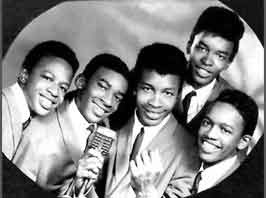 After Sam Cooke died in 1964, the Valentinos' career was put into jeopardy and the group temporarily broke up. Complications arose when Bobby later married Sam Cooke’s widow after which he decided to pursue a solo career in 1965. Sadly, Bobby received much criticism and many radio deejays refused to play his records. As a consequence, he opted to become a session musician but not before he encouraged his brothers to reform the Valentinos. In 1966, they recorded several singles, including: "Do It Right" and "Let's Get Together" for the Checkers label (subsidiary of Chess) but they were rarely played and failed to chart. The brothers were dropped from the label soon after. Cecil Womack, left the group and married Mary Wells. In 1968, the couple helped the brothers get signed to Jubilee Records and released "Tired of Being Nobody" followed by the Cecil Womack’s "Two Lovers History" before calling it a day. In the same year several of the brothers including Bobby contributed to the sessions on Mary Wells' Jubilee album Servin' Up Some Soul. Bobby Womack meantime relocated to Memphis where he worked at Chips Moman's American Studios. He played guitar on recordings with many artists including Joe Tex, the Box Tops and Aretha Franklin . He toured with Ray Charles then later recorded with Wilson Pickett including "I'm a Midnight Mover" and "I'm in Love". Despite claims to the contrary, sadly Bobby's work whilst touring with the Ray Charles band was ever recorded, either during that tour, nor in the studio. Bobby released his first solo album in 1968 on Mint Records. Fly Me to the Moon, and it was a major hit and featured his first charted hit, a cover of the Mamas & the Papas' "California Dreaming". He continued to work in collaboration with others including Gábor Szabó and wrote "Breezin'"; Sly and the Family Stone and Janis Joplin. By 1970, the brothers were back together and provided background vocals for Bobby’s second solo album, My Prescription. Bobby’s brothers featured on several of his albums including the breakthrough album, Communication, (United Artists Records). Recorded in 1971 the album featured the top ten R&B hit, "That's the Way I Feel About Cha". His fourth album Understanding (1972) was recorded in Memphis at the American Sound Studio and in Muscle Shoals Sound Studios, Alabama. One of the key songs from the album, "I Can Understand It", has become a soul classic and was a major hit for New Birth Inc the following year. Later in the same year Bobby co-wrote the score for the black cult movie Across 110th Street. The title track became popular during its initial 1972 release and was later used during the opening and closing scenes of the 1997 film, Jackie Brown. The Facts of Life (1973) included a rearrangement of Sam Cooke’s "Nobody Knows You When You're Down and Out, " and the follow up album Lookin' for a Love Again found Womack revisiting his Valentinos hit; the re-recorded "Lookin' for a Love" in a modern funk setting. The remake later shot up the Billboard Hot 100, to become the biggest hit the brothers ever sang on. "You're Welcome, Stop on By", was later covered by Rufus & Chaka Khan. In 1974, Harry Womack was murdered which had a severe effect on Bobby and he became more dependant on recreational drugs. He continued to record and a couple of R&B Top Ten hits with "Check It Out" (1975) and "Daylight"(1976). After his country album failed to sell well he moved to Columbia.